I recently had the opportunity to attend the +Simply Be store in Manchester for a styling session whilst I was spending the weekend there. 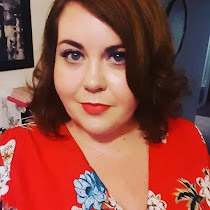 I was massively excited as I have been shopping with SimplyBe for some time now and couldn’t wait to roam around the store and try on lots of pretty dresses. Upon entering the store I was immediately greeted firstly by the lovely Becky and then Steph who was to be my stylist. I do have to make a special mention to them both as they made me feel completely at ease and welcome and I had a great time with them. I was chatting with Steph about her role within the store and her passion for styling woman and making them feel good about themselves was fantastic. You could really tell that she loved her job and I could have happily spent all day there talking about plus size fashion and body confidence. 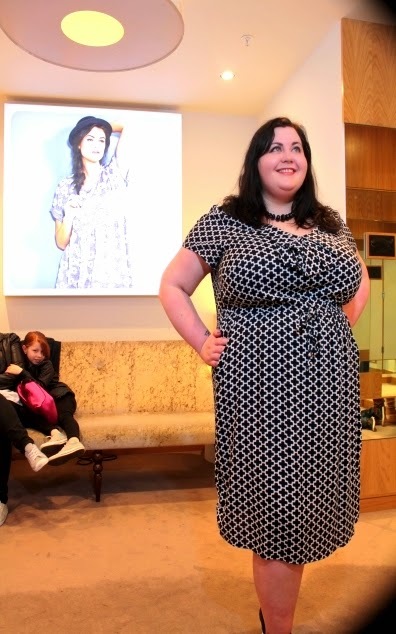 With every dress I tried on, I used the magic mirror that SimplyBe have in their stores which enables you to photograph yourself in the mirror and then send the pictures to either your email or upload on to Facebook. I think I must have been a bit overexcited when typing my email address on to the screen as unfortunately only two images came through to me which ironically were also the dresses that I chose to bring home with me! I was hoping that I wouldn't love the pink biker jacket. I really was. I knew I couldn't afford it at the moment but tried it on anyway because I couldn't not. I love how well it goes with the bird print doll dress (coming soon on the blog in a separate post). The jacket is now at the top of my ever growing wishlist!! I spied the tile print dress and immediately thought that it would be perfect for the office. The fabric flows nicely, is cool to wear and nips in at the waist to add a little va va voom! Again, I will post about this dress properly in a separate post. I am gutted that the other dresses didn't transfer to my email but I will show you the ones I tried on anyhow. 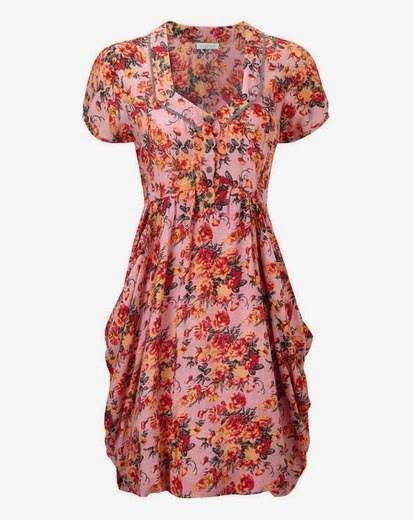 This is the daisy print version of the bird print dress above. I loved them both but for my specific colouring, the bird print dress worked better for me. I took this dress into the changing room as a kind of a wild card. Pink dresses and added ruching below the waist generally doesn't look good on me, but I really liked it. The only personal thing for me was that it was a little bit too short to wear without leggings and I HATE wearing leggings. That is just me though, the dress is gorgeous to wear and had a flattering shape. I am already planning when I can next get to the Arndale in Manchester and I urge you to go. The girls there are so friendly and helpful, it is nice to see an engaged staff when you walk into a store who are interested in the fashion they are selling. Anything above the knee is a treat! (apologies for the views of a pervy old man) seriously luving the girly biker.